New Grizzlies regime passed its first test on draft night. 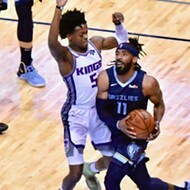 In their first major decision since taking over stewardship of the Grizzlies franchise, new front-office honcho Chris Wallace and head-coach-with-clout Marc Iavaroni did the right thing during last week's NBA draft, selecting Ohio State point guard Mike Conley Jr. with the fourth pick. 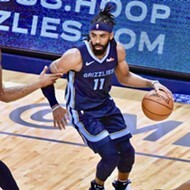 Up until draft time itself, there were still conflicting reports that had the Grizzlies taking, variably, Florida center Joakim Noah, Florida swingman Corey Brewer, or Conley. I'd been pushing Conley for a couple of weeks, and, by that time, my sources indicated he was the most likely pick. So I was happy to see it happen. Conley is a lightning-quick playmaker with excellent court vision and poise. He'll be able to push the ball up the court and set up teammates for good shots in transition. In the half court, he should be able to use his quickness to come off screens and get into the paint, where his ability to make shots with either hand evokes San Antonio Spurs star Tony Parker. But Conley is also a long-limbed, opportunistic defender who, in concert with second-year point guard Kyle Lowry, will allow the Grizzlies to apply defensive pressure for 48 minutes a game. The Grizzlies needed a triggerman to enable Iavaroni's preferred style — uptempo basketball predicated on aggressive, attacking defense — and they found him. Conley was thought to be a reach at #4 in some circles — unproven conventional wisdom about not taking point guards high in the draft that, like so many other unfounded sports clichés, refuses to die. But in the days before the draft, ESPN.com analyst John Hollinger published what is certain to be a highly influential study about what factors of college basketball production are indicators of pro success. Among the areas Hollinger found to be indicators were high steal rates (which indicate pro-level athleticism), playmaking (an indicator of offensive skill and decision making as measured by an advanced statistic Hollinger calls "pure point rating"), and production relative to age. 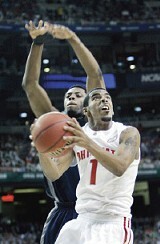 Conley was a prolific ball hawk at Ohio State (more than two steals a game), boasted a higher pure point rating than any prospect in the draft (and the fourth best of any college prospect in the past six years), and was the leader and clutch scorer for a 35-4 national title contender as a 19-year-old freshman. By Hollinger's measure, Conley graded out as the third best prospect in the draft (after Kevin Durant and Greg Oden). 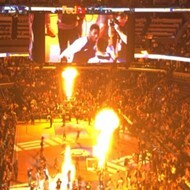 Before Hollinger dropped what is likely a transformative piece of hoops scholarship, I published my own modest, Griz-draft-specific study on Beyond the Arc at MemphisFlyer.com/Grizblog. I looked at the recent success rates of prospects similar to the ones the Grizzlies were looking at, focusing on Top 10 picks of the past 10 years. Based on that sample, players of Conley's type — highly regarded pure point guards — were much more likely to meet expectations in the NBA than players similar to Noah or Brewer. Of the 17 point guards who have been Top 10 picks in the past decade, 13 of them have developed into all-star caliber players or quality starters. Of the mere four who haven't, two of them were elite prospects whose careers were sidetracked by major injuries (Jay Williams and Shaun Livingston). Throw those players out, and the success rate of Conley types was 13 to 2. The message of Hollinger's study and my own? Not only did Conley have the most potential of any player available to the Grizzlies in last week's draft. He was the safest pick. Conley also looks like a probable fan favorite — no small consideration for a team trying to fix fissures that have erupted between the franchise and its fan base over the past couple of years. For starters, the bright, personable Conley has copious regional and local connections: He was the ball boy on the 1994 Arkansas Razorback college basketball national title team. His mother's family is from West Helena, Arkansas, and he has family in Bartlett. As an uptempo point guard, Conley (along with Lowry) will make Grizzlies games more entertaining this season. And, as a Beyond the Arc reader pointed out before the draft, Memphis hoops fans have a history of embracing dynamic point guards from Andre Turner, Elliot Perry, and Antonio Burks at the University of Memphis to Jason Williams with the Grizzlies. With any luck — and it won't take much — Mike Conley Jr. should be the next in line.